In the Booth has been supplying Photo Booth hire in Canberra since 2013. Our sole purpose in sharing your event with the photobooth is to provide the highest quality service and exceed your expectations in every way. We love attending weddings, social events and corporate functions throughout Canberra and surrounding areas, including Goulburn, Cooma and Jervis Bay. Canberra is a major hub for Western NSW and the South Coast Region and is well visited due to its status as the national capital. When Caberrans party they like to do it in style whether it is a wedding, 21st birthday or a major corporate event such as a product launch or staff Christmas party. 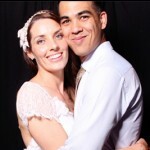 What better way to kick off any party in Canberra than with photo booth hire! In the Booth has had the privilege of attending countless Weddings, Parties and Corporate Events throughout Canberra and surrounding areas since 2013. We love the joy and excitement our beautiful photo booths bring to any celebration, and creating treasured memories for our clients and guests. If you are thinking of having a photo booth at your coming event, whatever that may be, we would love to work with you to ensure a fantastic experience for everyone involved. Contact us today. "Thank you!! The service and products received from In the Booth have been amazing! All the little things like your email with the links of photos to the package delivered to my door step. Your staff were awesome on the night and I have to say that you guys actually made my wedding better by being there. I have been recommending you to everyone. I am really glad I picked you guys." "We received the digital image folio earlier last week, thanks so much – we had a great time flicking through it all :) We filled out the survey, noting that we couldn’t have been happier with anything, especially your work on the night! Thanks again for everything." 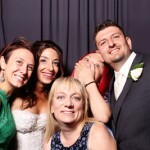 What is it you love about providing photo booth hire in Canberra? Though a major city, Canberra is within easy reach of a lot of coastal and inland townships. The major attraction for me in providing photo booth hire experiences in Canberra is the sheer variety of venues and locations. From small country towns such as Tumut and larger ones such as Goulburn we have also supplied photo booth hire services to schools, private and corporate functions on the beautiful NSW South Coast. Tell us about some uniquely Canberran touches you have seen at an event? Canberra has a strong local pride which is encouraged and actively developed by our territory government. It is also growing at an extremely fast rate with new suburbs popping up everywhere. In true Canberran community spirit, the most unique experience I have had with photo booth hire was at a community Dogs Picnic Day. It was certainly interesting as it was my first encounter assisting pets (along with their owners) during the photo booth experience! Without a doubt, the most commonly asked question is ‘what’s the most number of people you’ve had in the booth?’. Unlike the old arcade booths, our photo booth is generous in size which makes the whole photo booth hire experience something very special. Look after the kids (both big and small; young and old). Guests come to these functions, weddings, parties and even corporate events such as Open Days at the universities to have fun. A well placed photo booth not only provides great fun but enhances the experience with lasting memories. Most people see Canberra as the War Memorial or Parliament House. Every month sees something special happen in Canberra from the sight of dozens of hot air balloons to the most comprehensive multicultural food fair you will ever see. And don’t forget to visit the local wineries; not just great wines but also fantastic restaurants.